Cobbler's Corner carries a wide selection of shoe and leather care products, from shoe creams, wax and conditioners to water and stain repellants. 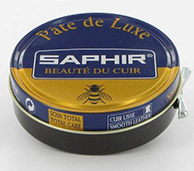 Saphir Pate de Lux Saphir's traditional wax polish in 50ml tins. A combination of beeswax, carnauba wax...linked with turpentine and high in covering pigment, this is a great quality/value wax polish. 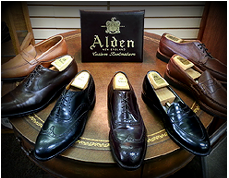 Why we never stocked this before, I'll never know, but it is here now and available in all the basic men's shoe colors. Saphir's 'Creme Surfine' is the beeswax based all-purpose cream to clean, nourish, polish and condition shoes, boots and even leathergoods. Use this cream regularly as maintenance, as well as alternating with the Pate de Lux for a mirror shine. 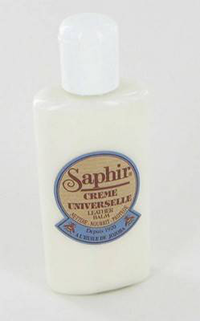 Saphir's 'Creme Universal' is a multi-purpose enriched liquid cream polish. For cleaning, nourishing, protecting and shining smooth, varnished and reptile leather and leather goods, shoes, furniture, luggage...a fantastic all-purpose product. Based on beeswax enriched with jojoba oil & lanolin. 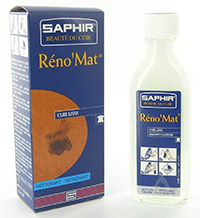 Saphir Renomat is a 'first step' cleaner, remover of surface dirt, old polish stripper, etc., best used a few times a year during more heavy duty reconditioning. 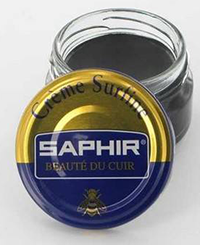 Saphir's Medaille D'Or Cream is a unique blend of animal oils, animal fats and beeswax to give a superior finishing to your shoes and boots. Due to the high pigment content, these creams do a fantastic job of coloring, fixing scuffs and cuts, and even light conditioning of fine leathers.